The bridge of engagement unifies the horse's body in movement, and allows continuous and amplified transmission of the power generated by the haunches. Training the horse in a way which promotes postural engagement is based on the principle of promoting the longitudinal flexion of the spine, at all stages of training. This flexion, supported by the postural 'ring', lifts the horse's back underneath the rider's seat, creating a kind of energetic bridge to support the rider. 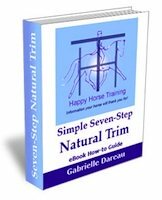 When a horse is trained in a way which does not, from the very start, promote and prioritise longitudinal flexion, then the horse's will tend to take on a hollow posture underneath the rider. This will be more or less obvious depending on individual conformation. 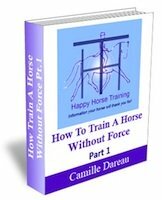 This situation is often disguised by making the horse's front end come 'round', even in early training (by the use, for example, of short side-reins in lunging work) . 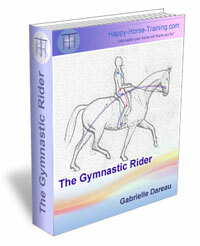 The problem is that the hollowness remains, leaving the horse's spine in a weak posture for carrying the rider. No matter how much the front end is encouraged to 'lift up', the disengaged haunches are unable to generate transmission or true collection.